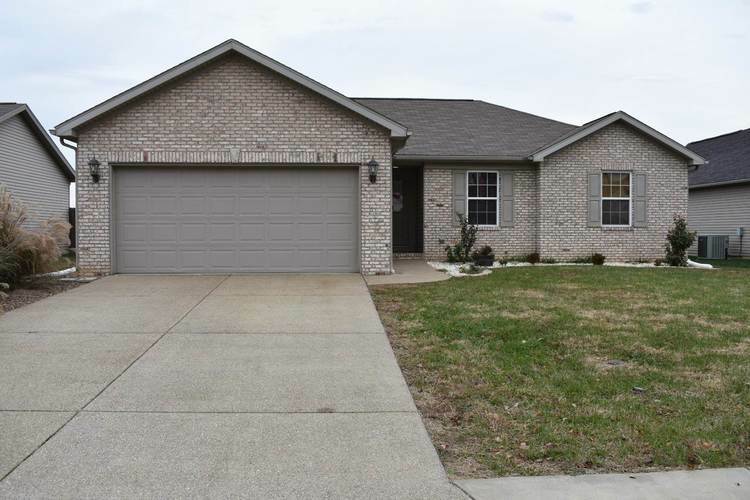 Don't miss this beautiful 3 bedroom, 2 bath home in Stonecrest Subdivision. This home has been freshly painted & new luxury vinyl tile. Home is great for entertaining with open floor plan, cathedral ceiling in living room, kitchen with breakfast bar and sliding glass doors onto patio. The large master bedroom has a walk-in closet and master bathroom with linen closet. Home also offers a pantry and laundry room & an attached 2.5 car garage with attic storage. Outside you will find a patio and a large privacy fenced yard with storage barn. Per owner, included in sale: Refrigerator, range/oven, microwave, dishwasher, dryer, blinds and rainbow swing set. Home qualifies for USDA financing.